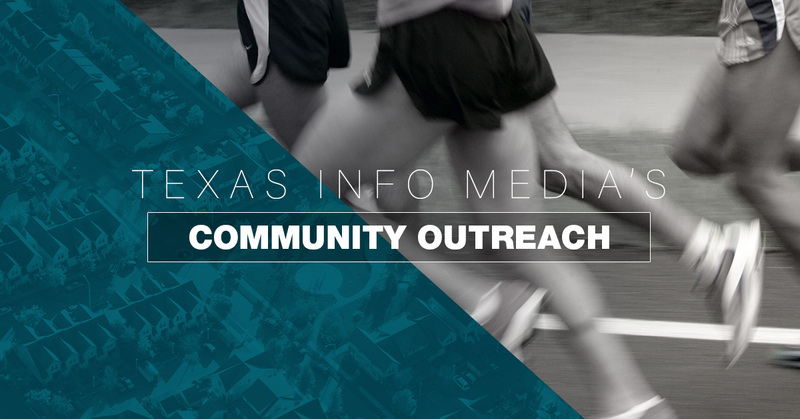 As part of our continual effort to help the community, the luxury home theater team at Texas Info Media is excited to participate in several triathlons this year across Texas and Oklahoma. The first of which will take place May 7th at Lake Tawakoni State Park. Proceeds and donations will go toward Mazie’s Mission, an animal rescue organization. In this blog post, we will detail the race info in addition to some of our recent award-winning work. You can see on their website that Mazie’s Mission is a nonprofit veterinary clinic dedicated to serving nonprofit animal rescues and municipal shelters. This triathlon will help provide affordable and quality care for homeless animals in the Dallas/Fort Worth area. Are you interested in the Wiki Wiki Triathlon? Racers can join together and compete as a team. Group teams must consist of at least three and include at least one female racer. The winning team will be awarded a prize package and have their names engraved on a Richardson Bike Mart Sprint Team Cup Challenge trophy. Nature lovers can also take advantage of campsites and RV hookups available Friday and Saturday night for a processing fee of $25 for one night or $40 for both nights. Be aware that Big Earth Racing booked all of the campsites for the weekend, so those interested in camping must make their reservation through this site. We thought we’d mention that a home project we just finished up not long ago is up for an award as a top Integrated Home Level 1 for CEDIA 2017 (Consumer Electronics Design & Installation Association). If you aren’t that familiar with integrated homes, they are judged on all that’s included in the home in terms of audio system, video distribution, security, cameras, control, equipment, and lighting. Integrated homes basically include whatever enhances the homeowner’s environment for entertainment, convenience, safety, and system reliability. The winners will be announced later this year, with the year’s award ceremony in San Diego. At Texas Info Media, we provide unmatched installation of luxury home theater and audio-video items. We offer a variety of services for both homeowners and business owners, including design & installation, audio & video, automation, digital signage, structured cabling systems, and much more. We make the luxury home theater process a breeze, with assistance every step of the way. From design to installation to follow-up with the finished product, our team goes above and beyond so that you can enjoy a home theater experience like none other. For over 18 years, we’ve handled both residential and commercial projects alike. No high-end home theater system project is above our heads, as our team has made new construction, remodeling, and retrofit projects look absolutely incredible. To go along with our versatility, our team also holds certifications through CEDIA and other manufacturers. We are also proud to offer customers with the top manufacturer’s products and have the best industry partners including satellite, design, suppliers, as well as custom programming services. It’s not just the expertise that makes us proud at Texas Info Media. When company president Steve Fairbanks founded the company, he made it a point that the team would uphold the highest quality of customer service. With every project we take on, we provide service that’s professional and personalized. We can never get a nicer compliment than when a customer tells us that Texas Info Media does things the right way. From communicating during every step of the way to properly executing your new home theater, you can feel comfortable making us your choice. We currently have two locations with our main facility in East Texas on Lake Fork. We invite folks to contact us so that we can set up a visit where you can see one of our theaters for yourself. This location also includes a technology demo room so you can see just what we’re capable of doing for your needs. We aren’t just limited to Texas or the U.S., though. We’ve completed beautiful luxury home theater projects across the country, as well as internationally. Texas Info Media can bring you the best home theatre systems in the world. Let us help you achieve the best home theater setup. Contact us today.